Social Media Managers, I feel your pain. I know how hard it is to push for a great presence on social media and the inclusion of Facebook advertising in a strategy may be the straw that breaks the camel’s back for a number of you, especially when it means asking for more budget. A recurring theme right now with many of my Clients is Facebook advertising. “Does it work?! “Is it worth it?” “What’s the ROI?” all viable questions, and ones I encourage. When bringing something ‘new’ like social media to the table and then merging it with something they may be more familiar with like PPC, you may think it would ease the concerns of clients or manager.In fact, it sometimes has the opposite effect as social media for many still remains the large, pink sparkly elephant in the room that no one wants to acknowledge as a viable part of the digital marketing cycle. Therefore, I have compiled my top 5 tips that may help you persuade your clients, bosses or partners as to the benefits of Facebook advertising and why they should give it a go without fear. First things first, if you’re not talking to your customers no online advertising will work for you. Facebook offer a great number of targeting options to help you maximise the amount of spend you place on your Facebook ads ranging from age range of people who will see them to the ad placement on their Facebook pages. Page Post Engagement – Increase the Reach of your posts and page, get people reading what you put out there and interacting with it more frequently to also boost organic engagement in the future. Page Likes – A standard Facebook advertising boost aimed at the procurement of more followers for your Page. 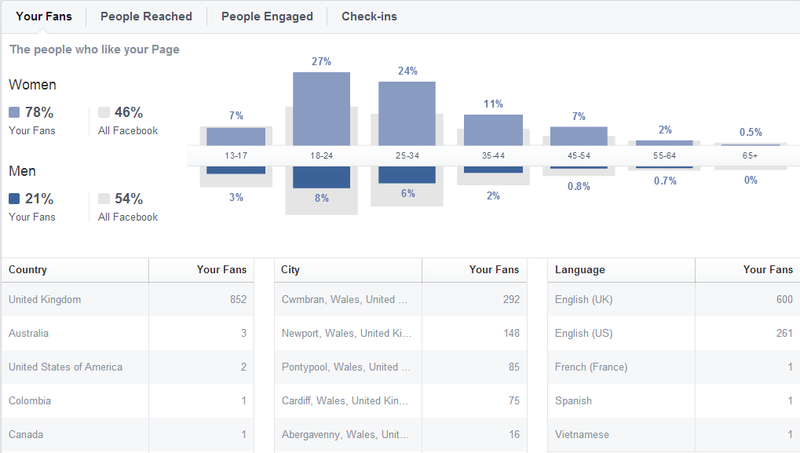 However the best results don’t often come from the amount of Page Likes you have. Clicks to Website – If your goal is to drive traffic to a specific website page, blog or product page this function will allow you to do that using specific calls to action within the ads. Website Conversions – Direct people to the specific actions your analytics determine as conversions, for example filling out the contact form or clicking the ‘Add to Basket’ on a product page. App Installs – If you’ve got an App, a great platform to promote it on is Facebook especially if that App is a game! Facebookers love games *cough Farmville cough*. App Engagement – No App is truly successful on Facebook if no one engages with it, to boost engagement you can use this specific kind of Facebook advertising. Event Responses – Responses, shares, general conversation – these are all great for your Events, whether this is something global, national or local Event promotion with some Facebook spend behind it is more likely to reach the right kinds of people than just using organic Facebook interactions alone. Offer Claims – Specific offers on your e-commerce site can sit within your Facebook page and directly on potential customers timelines with this kind of advertising, they have a strong call to action embedded within the Ad to encourage click throughs. Unlike AdWords, Facebook advertising allows you to target users based on parameters such as age, gender and location as well as their interests or things they ‘Like’. Facebook as a social network paved the way for connecting people through their interests and encourage every Facebook user to divulge and share what they are into using different elements of their personal profiles. Therefore ‘interest targeting’ is a feature within Facebook Advertising. It allows brands to target Facebook users who have shown an interest in activities, products, etc. or like pages related to particular people or brands. By targeting people based upon Facebook ‘Likes’, you can target users who may not be actively searching for your product like AdWords but have shown a previous interest in products or services similar to yours. This doesn’t work for every kind of campaign, however. While a campaign for Jamie Oliver’s new cookbook targeting anyone who Likes Facebook interests such as Cooking, Cookery, Baking, Gourmet Dining you can’t target interests for everything otherwise you run the risk of alienating some potential customers as interests are so varied or not updated regularly. If you want to be more precise with your targeting, you can choose to advertise only to those who have ‘Liked’ your Facebook page or another similar page, or create a ‘custom audience’ by uploading an existing list of contacts and choose to display their adverts to Facebook users whose activities correlate with that list. This is self explanatory – you can target specific ad sets to specific age groups and locations to boost success. This is particularly useful for products or services that are used by a specific age group. It is also brilliant for local businesses who want to target customers online to convert them into offline customers; ensuring their Facebook ad spend is as targeted as possible makes it a more viable option for them to invest in. Facebook advertising means success for a lot of brands, both in terms of customer Reach and customer Growth. That’s music to many clients’ ears. 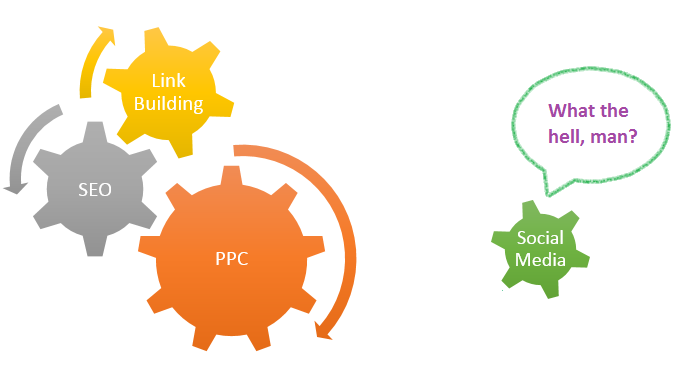 We know from our PPC activity that the myriad of possibilities for paid advertising in your online marketing campaigns are getting increasingly better. From the traditional, target PPC (Pay Per Click) on Google Adwords, to In-App advertising – online ads are sophisticated, well placed and incredibly effective. 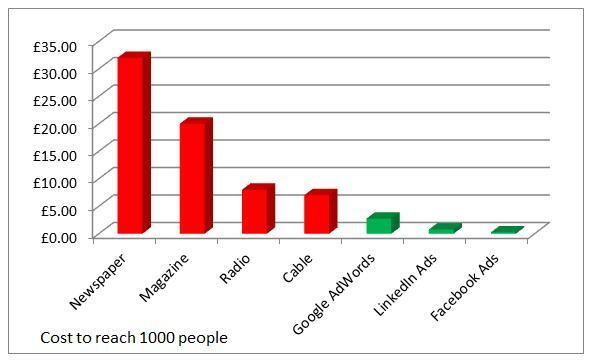 But one platform which you will have heard of (if not seen) is social media advertising. The most common of these is Facebook advertising which is growing rapidly. Advertising revenue for the social media giant grew a massive 72% in the first quarter of 2014 and it’s easy to see why; Facebook offers a fantastic range of opportunities for advertisers to reach their market. This is a great point that should persuade most clients or managers, because Facebook advertising sticks to the budget that you set whether it’s as little as £3 a day or less. If you analyse your data well, it will always work harder for you. If you’re reading this, you may be a Social Media Manager so you will know that analysis of your social data on any network is the key to success. Applying your stats to your Facebook advertising is the best way to optimize your ad campaign and Facebook provides a really strong analytics package to a brand page that is perfect for small businesses who probably don’t require anything more in depth. Any SEO will tell you that paid advertising is fantastic for your business. With customer targeting, great analyitcs to constantly refine and improve campaigns, keyword targeting and budget caps it is truly a digital marketing method that appeals to large and small businesses alike. Adding Facebook advertising into your marketing mix will allow you to diversify your ad mix, add something new to your tried and tested strategies and start speaking to customers in the place they spend a hell of a lot of their time – their favourite social network. The nature of Facebook advertising means that you will be marketing in a completely different way to a slightly different audience. While this market is not directly searching for your product or service within the search results, you can make sure your ads are seen by your specified audience within their own newsfeeds, including people who have shown prior interest in your products or services when you initially set up your campaigns. Now, you might think that by targeting people who aren’t actively searching for the services and products that you provide might not yield as many clicks as you would hope for. However, users seeing your ads on Facebook are in a relaxed frame of mind. Instead of being in ‘searching mode’ they are in browsing mode and this offers the chance to use completely new advertising messaging and to use new drivers such as content downloads or ‘Facebook only’ offers. Basically, it gives you the opportunity to capitalise on the times when your customers are at their most relaxed, hopefully without annoying them too much if your targeting is correct! Advertising for your core keywords on AdWords begins to get expensive with ever increasing competition. However, you can target a similar audience on Facebook and achieve a much lower Cost Per Click. Once you have built up an understanding of the type of customer who is finding your products or services and the keywords that they’re using, you can build an ‘ideal customer’ audience and start targeting these users with your ads. It’s not just direct response campaigns that can benefit from Facebook advertising. If your objective is branding then Facebook offers the cheapest Cost Per Thousand Impressions of any form of advertising. Just £0.25 can see your ad displayed in front of 1000 Facebook users, so an advertiser with a £5000 Biddable Media budget can allocate just £100 of it to Facebook advertising in order to receive 400,000 impressions – not bad value for any branding campaign! Now that you have the arguments to take to the powers that be, now’s the time to set up and run your first Facebook campaign and give this all a try. Remember to utilise the data you have from your social media monitoring to optimize your posts as much as possible before placing spend on them and think about what kind of campaign type will work for your business and the goals you want to accomplish with your Facebook advertising. Whether you want to drive conversions, website traffic or simply more Likes to your page there is a campaign out there for most businesses – large and small – that is guaranteed to increase your social network Reach and brand awareness. If you’re struggling convincing clients or managers to allow you to experiment with Facebook advertising, or you have been using it and you’re not finding a great return for your business. share your experience in the comments, I’d love to hear from you and help if I can! Sarah is Social Media Account Manager for the leading digital agency, Punch Communications. She has worked on a range of Digital Marketing campaigns and is a strong advocate of the use Social Media for the progression of any business. Her clients include Sony Mobile, Electrolux and more! A Welsh rugby fan and an avid Great British Bake off watcher, Sarah loves to Tweet, chat and cuddle cats.